Former Zimbabwe Broadcasting Corporation (ZBC) news anchor Oscar Pambuka and former Zanu-PF Highfield West National Assembly representative Psychology Maziwisa yesterday applied for an inspection in loco at the ZBC headquarters on September 18, to access tangible evidence supporting claims by ZBC bulletin manager Mr Moses Charedzera against them. 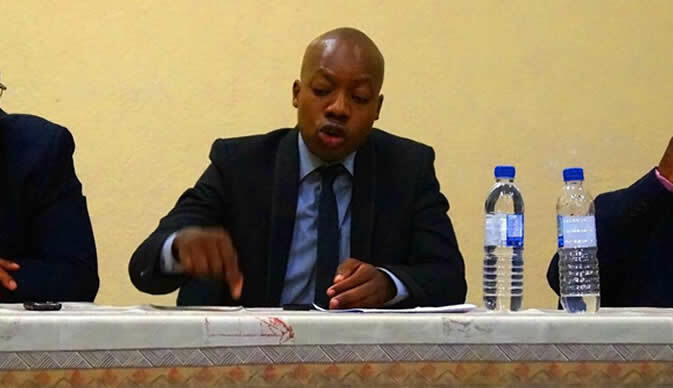 Psychology Maziwisa Mr Charedzera told the court that the publicity work Maziwisa and Pambuka claimed to have done for ZPC was in fact, news stories carried out by ZBC in its bulletins. He said some of the advertorial work, which the pair claimed to have aired on behalf of ZPC before billing it, was non-existent. Mr Charedzera said what the pair did was inappropriate. However, Pambuka and Maziwisa's defence counsel led by Mr Jonathan Samukange requested to see the primary evidence and Mr Charedzera indicated that there was need for a court order to access it.